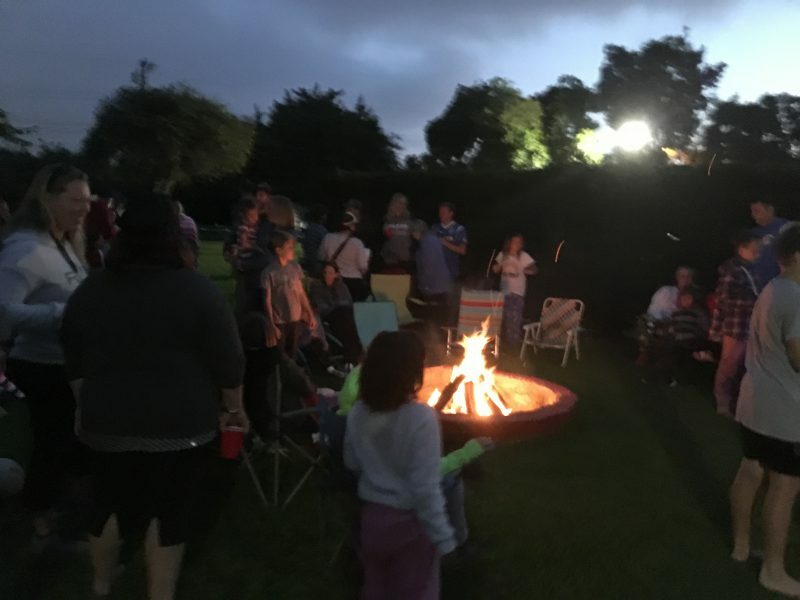 The night was mostly cloudy at the Halecrest Swim and Tennis Club, but we were still able to offer some looks at the moon and Jupiter as they emerged briefly from the clouds. Meanwhile, in the mobile observatory, we were giving 3D tours of the solar system on the MOBS computer screens. 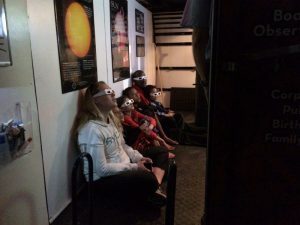 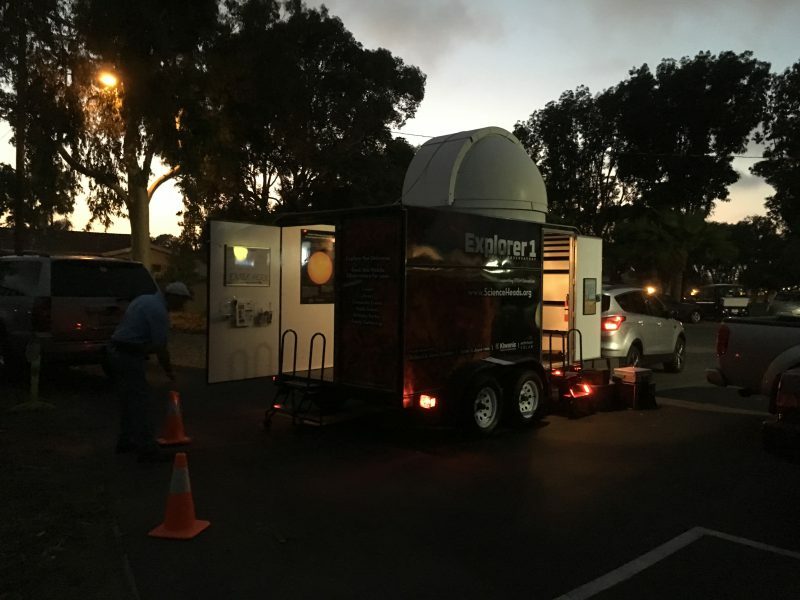 Family getting a virtual tour of the solar system inside the mobile observatory.